The push up challenge got stalled due to vacation but I am proud to announce that it is officially back on. Starting Monday for the next 6 weeks several of us will be working towards the goal of cranking out 100 push ups. 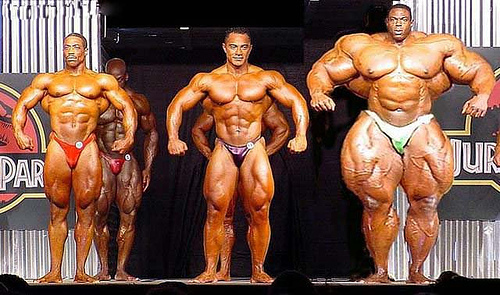 No doubt some of you can already do 50 consecutive push ups, but let’s face it, you’re in a big minority. Most of you reading this won’t even be able to manage 20 pushups. Surprisingly most guys can oly start with about 10. However, it really doesn’t matter which group you fall into. If you follow the progressive push ups training program, I’m positive you’ll soon be able to do 100 push ups! Several guys have already responded wanting to do the challenge as well. So get yourself ready and let me know if you are joining us for the challenge. Go to one hundred push ups and take your initial test and be ready to start on Monday. If you’ve been looking at my twitter or facebook then you already know that our family had a close encounter with a 6 foot shark. Our family had just finished our vacation in Palm Coast,FL and decided to meet up with the Nestor family and Owen Family at a house in Atlantic Beach, FL. Several of our kids were in the water body boarding while Ralph, Heath and I were sitting in beach chairs talking. As we sat there talking, Ralph commented that he thought that he saw two fins in the water. Obviously we did not think what he saw was a shark fin. 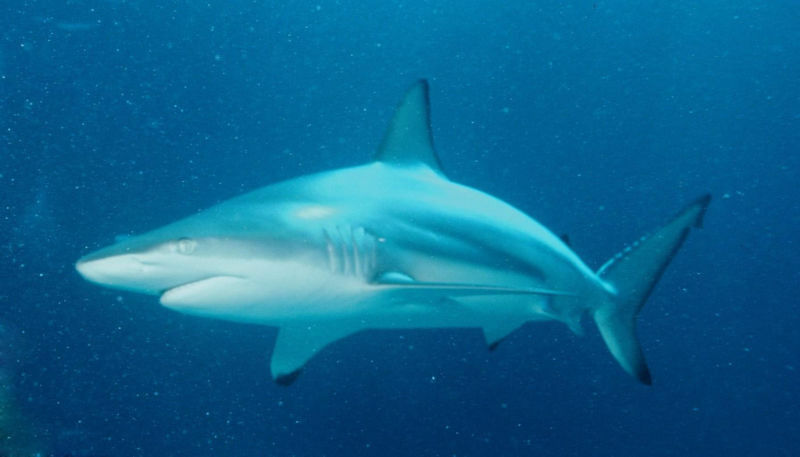 What we would soon learn was that he actually saw the small black tip of the front and back fin of the black tip shark. I looked at the water and didn’t see anything but decided to go down to the water’s edge and check it out. So, there I was standing with the water lightly hitting my feet, when all of a sudden I saw the shark surface about 15 feet away from our kids. Obviously, the only thing you can say at that moment is to get out of the water. Thankfully, all of the kids responded immediately (which is a miracle in itself.) How many times have you told your kids to get out of the water and you have to engage in some type of great debate. Thankfully all of the kids responded immediately. My little girl Lily would later tell me that she knew that it was bad from the way that I yelled. She said I knew it was either a jellyfish or a shark. I wish it had been a jellyfish. What happened next will always remind me of God’s protection on our children. The shark heard the commotion of the kids splashing and turned and began to swim towards the noise. What I’m about to say is not intended to place the spotlight on me or my actions because I know without a shadow of a doubt that Heath and Ralph would have responded the same way. In fact there is no one else that I would entrust the safety of my family to than to these two great friends. Once I saw the shark turn towards our kids I rushed into the water heading right towards the shark. My only goal was to place myself between the shark and our kids. Let me pause again and say that what I did was nothing short of what any parent would do. In fact Sonya was moving just as fast to grab the kids as they came out of the water. The only reason it was me going in the water and not Ralph or Heath was because I was the closest to the water at the time. As I rushed into the water toward the shark, I was making as much noise as I could by hitting and slapping the water. I made it about waist deep and the shark got spooked and turned and swam away. As he turned, his tail literally came within three feet of my hand. It was only by God’s protection that the shark did not go after me with the amount of noise and commotion that I was making. It was only by God’s protection that Ralph noticed something unusual in the water. Once we had all the kids, we watched this same shark hunt in the shallows for the next 15-20 minutes. The shark actually came up unto the sand twice and almost beached himself as he was fishing for mullet. We would then realize that there were actually two sharks hunting for fish in the area that we were swimming. First, the love of a parent is a powerful thing. Makes me wonder how God could stand back and watch His only Son suffer for those who hated Him. Here I am a sinful Dad and I would have done anything to stop my kids from being hurt. Over the past few days I have been trying to wrap my mind around the love that God must have for me. Knowing that I was on His mind as He watched His Son suffer on behalf of my sin. Second, the only other thought I had as I entered the water was that I had two friends that would have my back. I knew without a doubt that if this shark turned on me that I had two of my closest friends running down the beach to get to me. How thankful I am to know that I have friends that will lay their life down for my family and they know that I am willing to do the same for theirs. Not many men can say they have those types of relationships and for that I am greatly blessed. So to the best of my account that is our shark tale. I would ask that you would please pray that God would remove the fearful images from our kids minds and dreams. That this random event would not leave them fearing the ocean but instead praising the Creator of the Ocean. This summer I have been trying to push myself with some personal challenges. I’ve decided to take the 6 weeks onehundredpushups challenge. 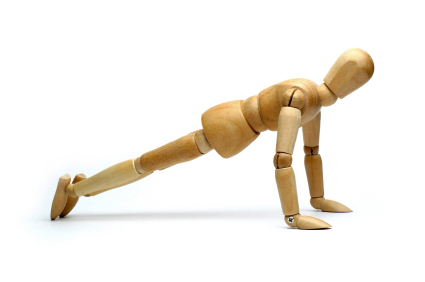 Push ups are one of the basic and most common exercises for the human body. Push ups are not only great for your chest, but do a tremendous job of defining your abs, triceps, shoulders and torso. Push ups can be performed no matter where you are, and best of all, they are completely free – no expensive equipment or annual gym fees required! If you’re looking to develop a great chest and shoulders, you could do much worse than follow along with the hundred push ups plan. Your core strength will also go through the roof too! To improve your strength, fitness and general health all you need to do is commit about 30 minutes of your time per week, and follow the push ups training program as closely as you can. I’ll start the push up challenge this Monday the first day of my vacation and work my circuit on M,W,F of each week. Let me know if you plan on taking the challenge. It would be cool tohave a bunch of us busting out the bootcamp style push ups.